We provide one stop solution for automation of school’s different operation from classes, exam calendar, events, student data management Etc. Handwritten data is prone to contain lots of error, so by using our user-friendly school management system save time and secure the data electronically. It is a most important part of for school management to maintain data accuracy and ensure smooth operation of the process.This contains master values for the process which can be added or deleted as per the requirement. End to process for student admission can be managed by this module. Process is paperless and time saving and can be done easily. Student admission is compulsory process for all the school and it can be done very easily using the software. This very important part of the school management for accounts maintenance and with the help of fee collection software student fee can collected by capturing all the details in single form and maintain the details. Payment invoice can be printed during admission and during anytime when payments are made. Plenty data is registered in system which can be managed in one click . Data captured for staff and student can be added and deleted. Student & parents academic as well as personal data can be managed and stored using software. Attendance .monitoring and maintaining data can be time consuming which can be easily done using software saving time offering relief from manual work. Its very important and hectic task to manage financial activity. Our software provide simple solution for account account management using various function like day book,bank deposit/withdrawal and other activities related accounting. Our software can easily maintain student billing details, School expenses, employee expenses, and other financial activities. Student data is very important element of any educational institute.The software provides data storage for student data.Software acn help to generate student ID cards, reports, activities, exam result onclick of button. School employee management can help in managing the employee data like job,designation,leaves and salary information.Data can be extracted easily with single click of button. Teachers spend lot of time in creating and managing schedule in school. 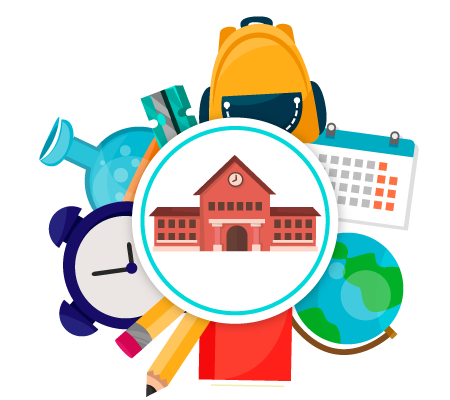 Time table software can help to create customise time table for school and examination.Software provides like lecture time, time spam, name of person conducting the lectures or class. Send the notification through SMS/Email can help to notify the parents informing about the student activities or event to be held in school. In case of emergency notify parents about school open or closed.